MASVINGO- ZANU PF national disciplinary committee has referred the case Obert Ngwenya and Josphat Nzombe who allegedly voted for MDC Alliance councillors during for elections for Chiredzi town chair and finance committee chair. Gibson Hwende an MDC Alliance councillor to become the council chair. 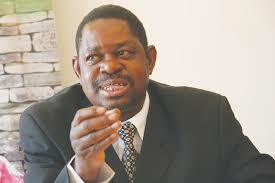 The ZANU PF chairman for National Displinary Committee Paul Mangwana confirmed the development at the party’s Provincial Coordinating Committee which held at Victoria Primary School on Sunday. Ngwenya and Nzombe were accused of disrespecting the provincial leadership by working with members of the opposition party and thereby not following party constitution. According to Mangwana, the national disciplinary committee resolved that the provincial committee come up with a decision on what to do with two. “We decided that we should not solve the problem at national level, rather we decided to let your provincial team here to solve it in the shortest period because it is a trivial matter,” said Mangwana.